I have refrained up to now from saying anything with regards to Robin Williams death. The reason, I don't know him. 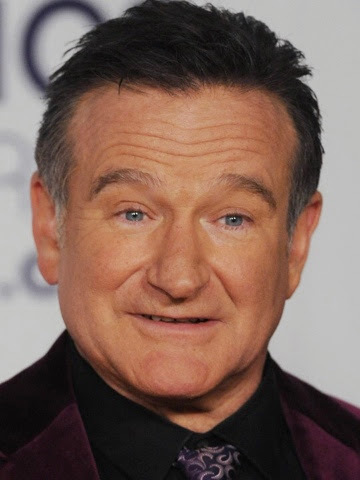 I've enjoyed several of his parts in movies, he has been a source of laughter at times, and I've always thought his face was pleasant; but I don't know him. Therefore, how am I to cast judgment against him as many of you have. The judgement that I speak of is not in saying that something is right or wrong, we are to make these kinds of judgments, but in condemning someone to hell. In this there is but One Law Giver and Judge. I know that whoever is trusting in Christ alone all his sins past, present, and future have been paid in full. The Christian does not enter into heaven based on his merit but Christ's alone. The Christian is born again with a new nature but remains in his sinful flesh until glorified. I myself battle depression from time-to-time. So can a Christian commit suicide? I give the answer that many theologians have given, I don't know. Martin Luther said, "I don't have the opinion that suicides are certainly to be damned. My reason is that they do not wish to kill themselves but are overcome by the power of the devil." Luther goes on, however, to express concern that this statement not be misunderstood or misused in a way that would downplay the danger and seriousness of this sin in the minds of people (Luther's Works, American Edition, Vol. 54, p. 29).